Total Monitoring Services, Inc. is a full service contract monitoring facility. Our wide range of products and services are tested and proven reliable. Listed are some of the basic alarm monitoring services we provide to you and your customers. Whether your business focus is on commercial or residential growth, we have the solutions to meet your customers ever demanding needs. From telephone based monitoring to GSM/Cellular to Radio to IP communications, we can fit your needs. For more information, please contact us so we can discuss how we can help your business needs today and your business growth and opportunities of tomorrow. We are Underwriters Laboratories Listed for Fire Monitoring. Meaning we have achieved the highest level of certification in the alarm industry for monitoring Fire Alarms. Whether you need a school, bank, credit union, high-rise, church, apartment, condominium, business-park, or building monitored, we can get the job done. We offer daily, weekly and monthly reports for your customers. We can mail them or send them electronically to your customers depending on their needs. No more calling in for your reports or doing them manually. We can completely automate the process to ensure that once set up, your customers get the reports they need when they need them. Do your customers want SMS text messaging or alerts instead of phone calls? No problem. As technology continues to transform our industry, we are staying in-step with the needs of the buying public. With iPhone, Android, Blackberry, and tablet technology permeating the security market, our ability to use and incorporate this technology means that you will be able to meet your customers’ needs in an ever changing world. We offer American Disability Act Elevator Monitoring. We provide each elevator we monitor with a dedicated DID phone line. This means we know where the call is coming from even if the caller doesn’t. This ensures we can get the help the caller needs when seconds count. Want to have your customers phone calls answered in your business name? No problem. We offer Custom Cancellation Lines with a display of your business name to our operators when your calls come into our dispatch center. This ensures that we answer your customers’ phone calls, not with some generic central station name or phrase, but with your name and a customized greeting. We also provide personalized greetings, on hold messages, and contact transfer information for your customers. This will boost your phone traffic from your customers back to your offices, keeping you in frequent contact with your customers. Need an Answering Service or have one that isn’t doing the job you thought it would do? Let us help! We can provide Answering Service to you and your office staff. Since the Central Station generates most of the after -hours calls to your on-call staff, we are better prepared to differentiate between a technical help phone call and an answering service phone call. Want your messages logged or sent to an email or Smartphone? No problem. We can come up with a plan that suits your needs and gets your messages to the right people in your office. We provide to our alarm dealers BoldNet Web Access into your database. This web based tool allows you to see your accounts, run reports, enter new accounts, and change data on existing accounts. With 128-bit encryption on our web server, you can rest assured knowing that access to your accounts is safe and secure. Does your office process a lot of data? Do you need unrestricted account access into your database? Want to see what the dispatchers see? Do you need access to your data like our Client Relations Department has? No problem. We offer Terminal Services access to your data over a secured/encrypted VPN connection. Your staff can log into their data as if they were sitting right in the central station. Access to everything our employees can access! Does your current central station offer your staff this level of access? Do your customers need web access into their accounts? Do they need to see history or run their own reports? We offer a customer level web access so your demanding customers who want access to their data can have it. Customer level access gives those demanding customers instant access to the most recent events so they can manage their business with the most up-to-date information available. Most access for this level of information availability is view-only; however, we do offer data entry capability for customers whom you deem it necessary to have. We offer a wide variety of IP based communications services. As the industry moves away from phone lines to IP-based commutations, we continually test and evaluate newer IP-based interactivity that we can deploy in our central station. 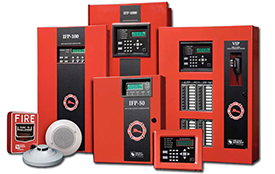 This allows you to keep up with the current trends in the alarm industry. Allowing you to retain your older customer base and bring on a new customer base with IP communications. We are a Master Reseller of Connect24! By becoming a Master Reseller, we can save you time and money with your GSM units. Our Client Relations department can enable and manage your account base for you. If you want to manage your GSM customers, we can move your account under our Master Reseller agreement. This will save you on your monthly charge from Connect24 directly as well as eliminate a majority of your upfront costs when setting up accounts with Connect24’s GSM network. We also provide AlarmNet GMS services. We can setup your own dedicated identification with AlarmNet which will allow for unique access to your accounts and billing. No more muddled AlarmNet billing! See exactly what services you ’re using and your customers’ data usage. Helping you manage and bill your customers the right amount every billing cycle. We have four FCC licenses we currently hold providing AES Radio Network coverage from Redding to Fresno and from the Bay Area to Lake Tahoe. If your customers need a radio solution or you need more information, then please contact us so we can discuss this amazing technology, and why, in many ways, it is a superior offering to your customer base. 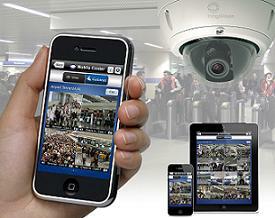 Offering multiple video monitoring platforms ask us how we can offer video monitoring to you and your customers. From DVR based monitoring, browser based monitoring, and incorporating video directly into our alarm monitoring platform, TMS has the right video monitoring solution for you! We also provide 24/7/365 technical video support. Have questions about a DVR, video camera, or system? No problem. Our on-site technician can answer your video questions. Do you need help deploying a video camera system? Our technician can help you with that! Does your central station have a dedicated video technician you can call or have come out to a job site and help you install and deploy it? We do! Need a specific report? Need to see data that you cannot get for your current Central Station? 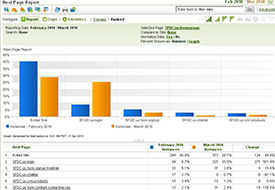 We offer customized reports for you and your customers. We have multiple reports (over 100 so far!) and each one of those reports has multiple options so you can drill down to just the information you want to see. Do you like to see information displayed in a specific way? No problem! If we don’t have the report you need, we can make it! With report writing capabilities integrated into our Monitoring Software, writing a report you need has never been simpler. Tired of having to spend days or a week on billing? Having to have dedicated office staff run your billing and take them away from your day to day operations? At TMS, we provide Dealer Billing Services. We run the invoices with your logo on them; we stuff the envelopes and the remittance come to you. This saves you time that you can then use to manage and build your business. Ask how we can provide this service to you! We have built a web based technical resource library of hundreds of alarm panels. Need a manual or taking over an existing alarm system that you know nothing about? Has the homeowner lost their manual? Not a problem. Our alarm dealers can log into our library and have instance access to over a hundred different types of alarm panel manuals. If we don’t have what our dealers are looking for, we find it and get it uploaded. Want to setup and auto pay for your invoices? Want your invoice emailed to you? We work with our alarm dealers to deliver their billing in a simple, easy, and efficient manner. We can also send you a detailed billing summary the day before the invoices are run so you can ensure that there are no billing surprises. Want to pay your bill early? No problem, we’ll even give a discount on your invoice for paying early. What other central station will do that?